Stem Cell Worx stands alone in the world of health supplements....it is a Life Changing Product! vitality from the Inside, Out...I have told everyone I know, 'It is Silly, Not to take this product'! Sharon from Beverly Hills talks about the benefits she has experienced since taking Stem Cell Worx Intraoral Spray. Dr. Edward D. Wagner is one of the most renowned Chiropractors and foremost holistic healers in the world. Today, Dr. Wagner practices from his California Office, Wagner Chiropractic situated in Sunset Blvd, Pacific Palisades, CA 90272, situated by Malibu Beach and Santa Monica. Dr. Wagner's healthcare career began over 35 years ago in one of the original health clubs in Southern California where he partnered with Jack LaLanne in the "Jack LaLanne Nutrition Centers" in Torrance and Rolling Hills, California. I stopped every other supplement that I was taking in the past two months. I am using your product regularly and am seeing some real changes in me, and my overall strength. Definitely after three to four months of using the product things are really changing. Before I used to prefer the elevator whenever I got a chance, but now I like flying up the stairs, not just climbing. I feel bursts of energy flowing through me many times during the day. It feels wonderful. At times I feel as if I can jump and touch the ceiling. A letter from a 76 Year Old Rabbi and Clergyman who has been both a diabetic and a coronary-heart patient. Olga from California talks about the benefits her and her Dad have experienced since taking Stem Cell Worx Intraoral Spray. They have a lot more energy. Her Dad was not working due to gout and swollen legs and within 2 months is now cycling again and has been able to return to work. My job in Washington is very hectic. In a regular day I might have several meetings with US and foreign government officials. Then in the evening, I will have one or two receptions to attend. Being "On" all the time is very demanding on the body, and also creates difficulties in getting to sleep. Thank you Stem Cell Worx. Vice President, International Relations. US Fortune 100 Company. I have had multiple sclerosis for a number of years and am just writing to let you know that I am noticing a significant improvement in my health and walking since taking the new Stem Cell Worx Intraoral Spray that you sent me from America. Emma has Crohn's Disease. She shares her experience since taking Stem Cell Worx Intraoral Spray. I am extremely excited to share our family's experience since taking this product. I hope all who read this will be encouraged and inspired to include Stem Cell Worx in their daily supplement regimen, as it has truly been a blessing for our household. As for myself, I am an exceptionally busy Mom of two. 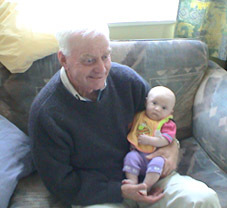 Prior to Stem Cell Worx I had little endurance by late afternoon, with decreased mental clarity as well as focus. Within two days of consuming Stem Cell Worx my endurance, mental clarity and focus improved as well as my quality of sleep. 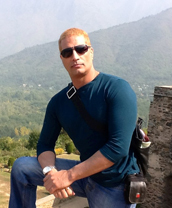 I am 65 years old professional, who works as a wealth manager, which is a mentally demanding profession. I have clients all along the West Coast as well as East Coast, so I have to deal with different time zones in managing my clients accounts. I was suffering from an interrupted sleep cycle during the night, as well as lack of energy during the day. I went to Dr. Ghaly, and explained my symptoms. After a thorough exam and assessment, Dr. Ghaly recommended the Stem Cell Worx Intraoral Spray. I must say that within 3 days using Stem Cell Worx, I began to feel well rested, and wake up refreshed. I was amazed that after one week, of using it, I had more vigor and good clear mental focus at work. The amazing thing is that after a long workday, I was still able to do other family activities , meet with client, feeling refreshed and not drained. I'd like to thank Stem Cell Worx for giving me back my youth. 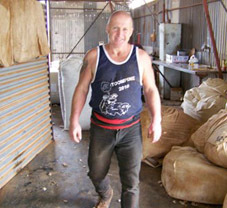 I have recently gone back to shearing sheep after a 15 year break. Not only am I back up to my old tallies but I'm feeling fitter and stronger than when I was 35. I have been taking the Stem Cell Worx product for 8mths now and I have hardly any aches and pains after a hard day shearing. I have been ordering this item for my elderly aunt who has a new lease on life. Despite my skepticism she swears her condition has dramatically improved. I can't deny her dry eyes have improved and knots in her neck have vanished. Pain is eased and she is sleeping better. A letter from Doctor Gary Haygood from Louisiana. Legal & Testimonial Disclaimer: *In compliance with 16 CFR 255 and FTC Guidelines on the use of endorsements and testimonials in the marketing and advertising of websites, Stem Cell Worx LLC hereby declares: Any and all endorsements published on stemcellworx.com or stemcellworx.com.au websites were voluntarily provided by the persons indicated in the specific testimonial or endorsement. The testimonials may not be indicative of future performance or success of any other individuals. Our Company cannot and does not guarantee any results of individuals utilizing the products or material provided by our company. The testimonials and endorsements found on the site are the true statements and beliefs of the individuals providing them.